Big Fish meets The Notebook in this emotionally evocative story about a man, a woman, and an alligator that is a moving tribute to love, from the New York Times best-selling author of the award-winning memoir Rocket Boys - the basis of the movie October Sky. 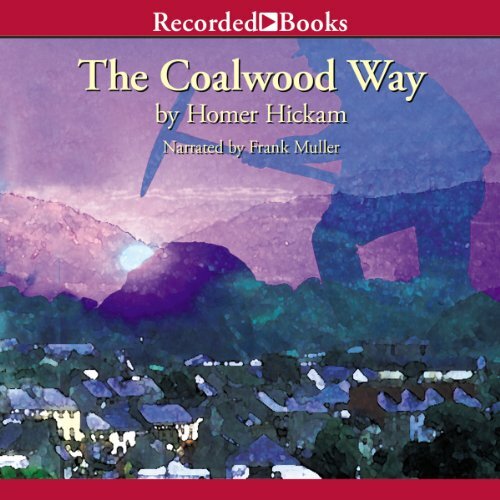 Elsie Lavender and Homer Hickam (the father of the author) were high school classmates in the West Virginia coalfields, graduating just as the Great Depression began. When Homer asked for her hand, Elsie instead headed to Orlando, where she sparked with a dancing actor named Buddy Ebsen (yes, that Buddy Ebsen). But when Buddy headed for New York, Elsie's dreams of a life with him were crushed, and eventually she found herself back in the coalfields, married to Homer. 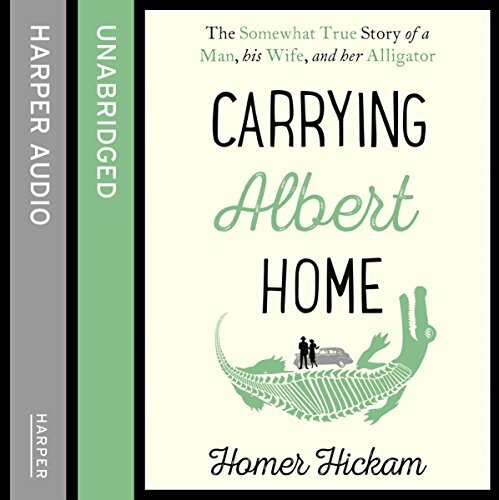 Carrying Albert Home is the funny, sweet, and sometimes tragic tale of a young couple and a special alligator on a crazy 1,000-mile adventure. 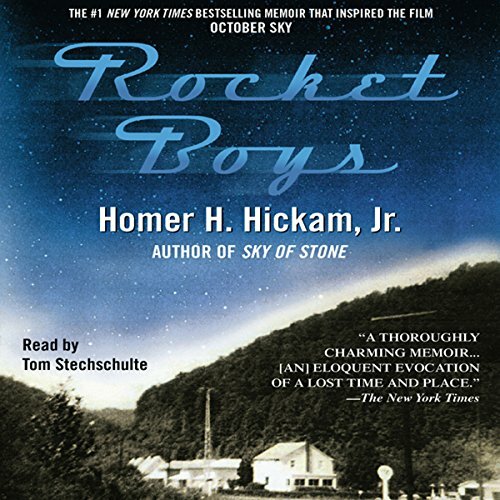 Told with the warmth and down-home charm that made Rocket Boys a beloved best seller, Homer Hickam's rollicking tale is ultimately a testament to that strange and marvelous emotion we inadequately call love. From the best-selling author of Rocket Boys - the basis of the movie October Sky - comes a long-awaited prequel. Big Fish meets The Notebook in this emotionally evocative story about a man, a woman, and an alligator that is a moving tribute to love, from the New York Times best-selling author of the award-winning memoir Rocket Boys - the basis of the movie October Sky. The New York Times best-selling memoir that inspired the film October Sky, Rocket Boys is a uniquely American memoir - a powerful, luminous story of coming of age at the dawn of the 1960s, of a mother's love and a father's fears, of a group of young men who dreamed of launching rockets into outer space... and who made those dreams come true. 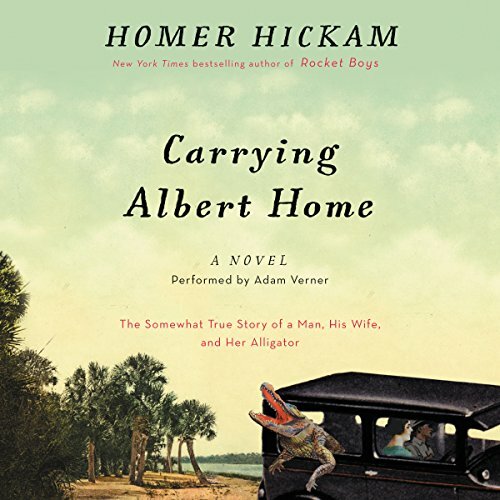 Nominated for the National Book Critics Circle Award, Homer Hickam's lush, lyrical memoir is a marvelously entertaining chronicle of triumph. about growing up in a town that’s slowly fading away. Homer and his close buddies, who call themselves the Rocket Boys, are high school seniors in 1959. Their rocket building experiments amaze the locals, thanks to top-quality moonshine for fuel, “liberated” materials, and Homer’s self-taught understanding of higher math. But no matter how brilliant their experiments are, they can do little to help preserve Coalwood’s way of life. In the summer of '61, Homer "Sonny" Hickam, a year of college behind him, is dreaming of sandy beaches and rocket ships. But before Sonny can reach the seaside fixer-upper where his mother is spending the summer, a telephone call sends him back to the place he thought he had escaped, the gritty coal-mining town of Coalwood, West Virginia. There, Sonny's father, the mine's superintendent, has been accused of negligence in a man's death. 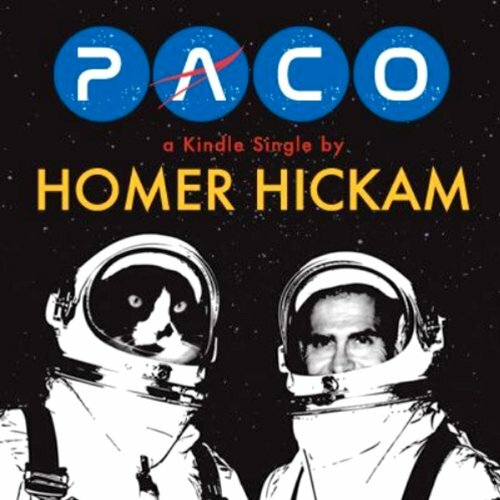 Homer Hickam recalls his first years as a NASA engineer, while also telling the story of his fluffy black and white cat Paco, who had the magic ability to make people smile and give them hope. But when Paco was struck down by a disease that left him unable to walk, Hickam was faced with a terrible decision, let his beloved cat live in misery or put him to sleep. Before that decision could be made, the space mission Hickam was working on needed to be rescued and there was only one sure way to save it: Paco's magic meow! 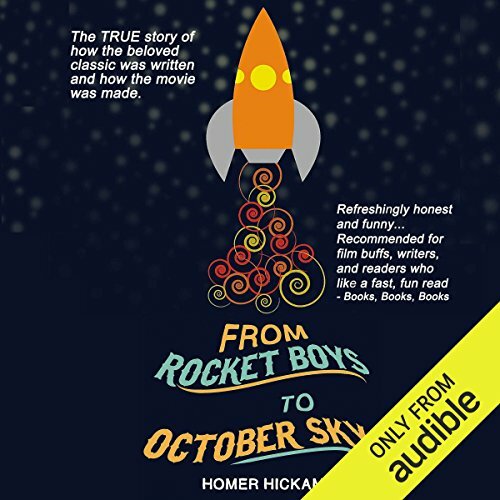 Since the publication of the #1 bestseller Rocket Boys: A Memoir in 1998 and the premiere of the movie October Sky in 1999, many Homer Hickam listeners and fans have wondered how and why he wrote the book, and how the movie was made. Incidental to that are such questions as "What is Jake Gyllenhaal, Chis Cooper, Laura Dern, etc. really like?" and "What's it like to have a movie made about your life?" and "Why are the book and movie different?" and "Why are both book and movie still so popular after all these years?" 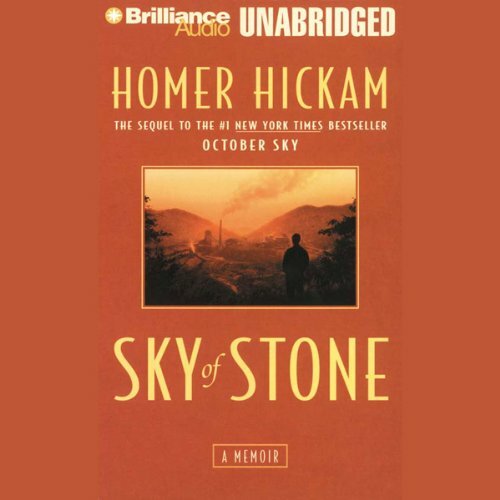 The answers to those questions and a lot more are in Homer Hickam's new audiobook From Rocket Boys to October Sky.